Aromatherapy is a natural method of healing certain ailments or changing certain moods with the aid of using certain pure essential oils in massage and inhalation. When we inhale aromas such as pure essential oils, our sense of smell kicks in. The process of smelling starts from the time molecules from the object that emits the smell reaches the nose. Objects with a scent or odour give off molecules; the molecules are mostly volatile chemicals so it easily reaches the nose. Some things have no smell because there are no molecules evaporating from them. The evaporating molecules come in contact with the neurons in the nose. The neurons have hair-like projections called cilia where the odour molecules bind. This triggers the neuron to signal the brain and the person smells the odour. The human nose is lined with special olfactory receptor neurons that can distinguish more than 10,000 odours. There are receptors for the detection of certain smells and any receptor that is missed or damaged make that person unable to detect the particular smell intended for that receptor. Pure essential oils consist of tiny aromatic molecules that are readily absorbed into the skin, while inhaling the vapours they enter the lungs, and into the bloodstream. It’s there they are carried around the body where they can deliver their beneficial healing powers. This study on the connection between odour and memory has shown that the emotion we associate with any odour is dependent to the emotion that a person was experiencing at the time that odour was smelled for the first time. If a person was having a pleasant emotion, he or she is more likely to like the odour or scent introduced during that time. If, however, a person was having an unpleasant emotion, then he or she is more like to dislike a scent or odour. Some researchers call this ‘odour imprinting’. Related to this experiment, cultural experiences also apply to learning to like or dislike any scent. As examples, the following were presented: Americans are more inclined to like the smell of wintergreen – an ingredient in candies and gums while the British find the odour less pleasing since wintergreen is often used in making medicines. The study also showed exemptions to the above findings like, irritating odours, which are immediately disliked. 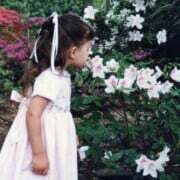 Genetic differences also affect responses to odours. This study indicates that “emotions can become conditioned to odours and subsequently influence behaviour”. As in the experiment, the participants who were frustrated and associated a certain smell with the emotion felt frustration without any reason the time they encountered the smell. An experiment under the opposite situation was only conducted and the participants indeed showed pleasantness the next time they smelled the odour associated with a pleasant feeling. Our sense of smell is therefore an amazing gift we tend to under value, however without it can you imagine how life wouldn’t be as enjoyable. Our sense of smell affects us all so powerfully.